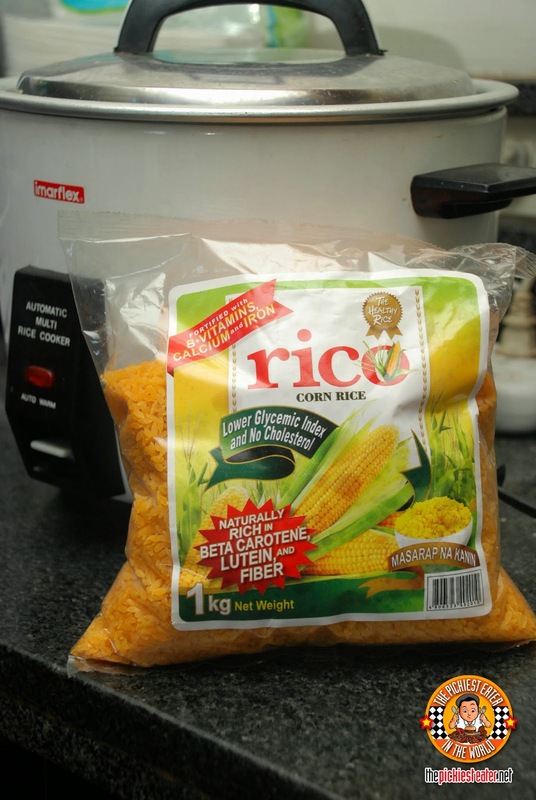 Rico Corn Rice is made from corn harvested locally from the provinces of Bukidnon and Isabela. The corns are apparently mechanically transformed to copy the appearance of a normal rice grain. 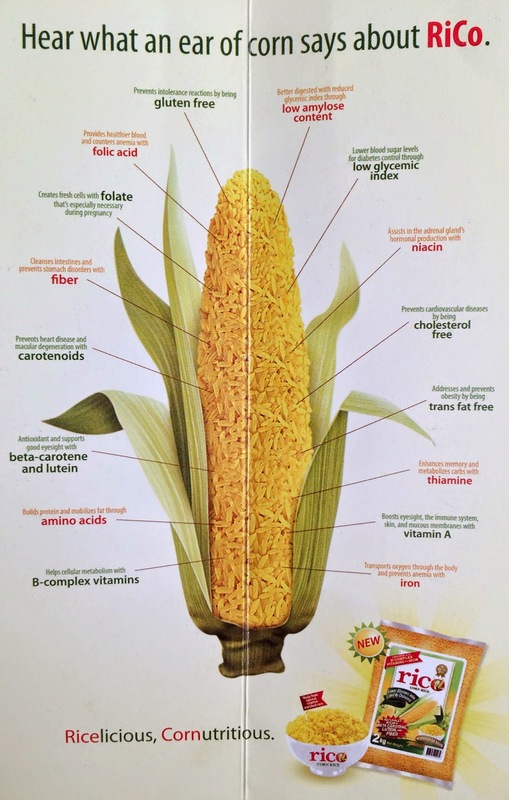 The people from La Filipina ingeniously thought of this concept because first of all, more and more people from different parts of the country are choosing corn instead of rice to pair with their daily meals, secondly is to help aid in rice shortage (since we are importing rice to other country), and last but not the least, to help support our local corn farmers. - It is good for diabetics because it is low in glycemic index which helps make the blood glucose level be more stable. - It keeps your tummy full longer s you don’t easily get hungry again. With all the listed benefits above, it is not only good for diabetics but it is perfect for expectant moms as well. Another thing that amazes me the most is the fact that you don’t need to wash this corn rice before you cook it. Unlike brown rice wherein you have to wash it like a hundred times before you get to cook it (exaggerating but yeah you need to wash it a lot). Cooking instructions is easy. 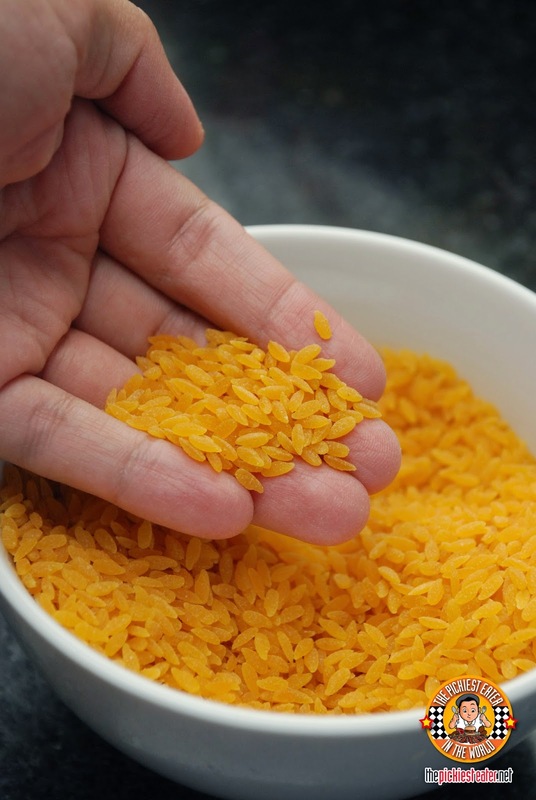 Just boil the suggested amount of water, then pour the desired amount of rice, then simmer until you get that perfect moisture and stickiness! This usually takes about 10-15 minutes. The taste and texture? Honestly, it’s almost close to the brown rice. Luckily I don’t mind that texture because like I mentioned earlier, I’m a brown rice girl so it’s fine with me! Plus, considering the health benefits? It would be a good thing to have this on your household! 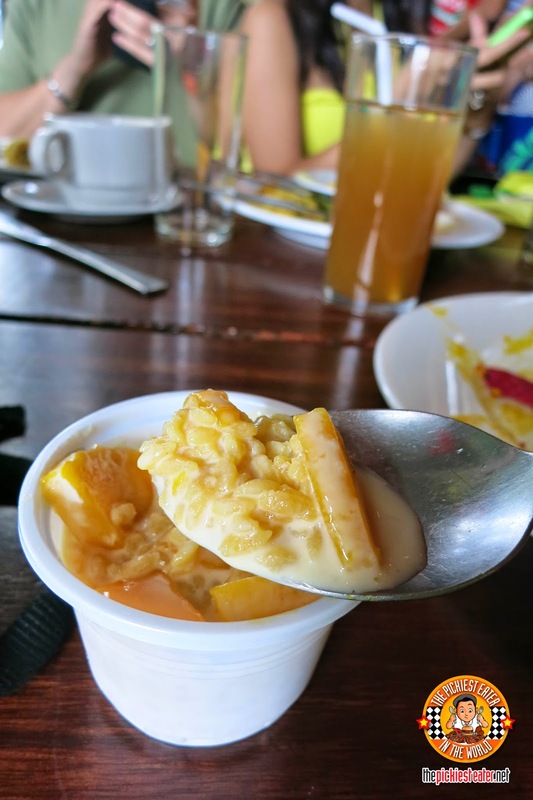 ...and Mango Corn Rice for dessert! What about you? 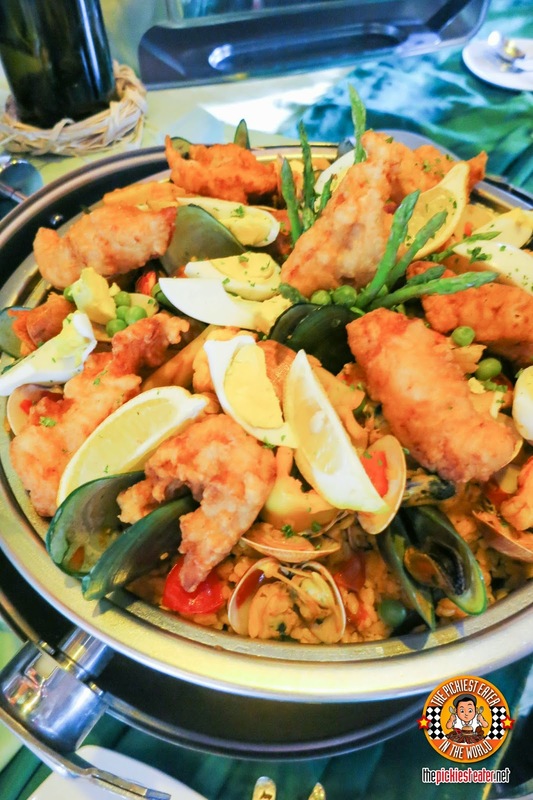 What other recipes do you think will be great with corn rice? Let me know! I actually cook and eat brown rice too! I started eating it to lose the weight around my waist two years ago. 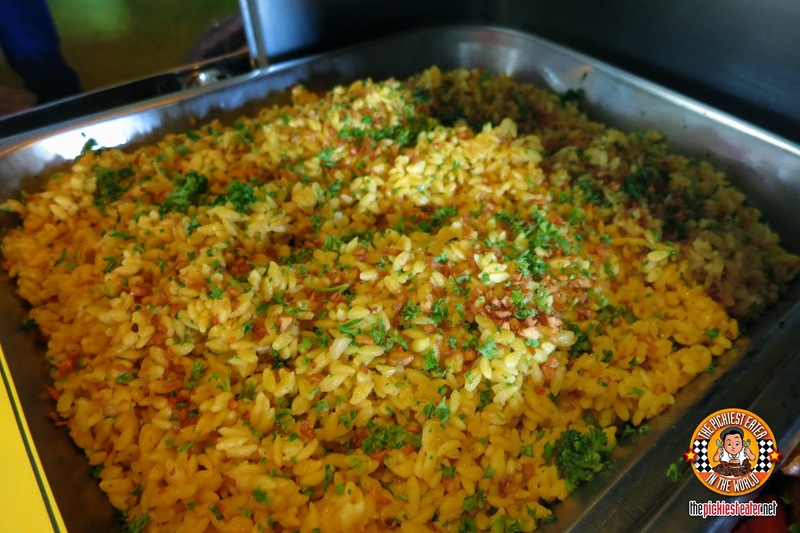 So I think I am going to like corn rice, this is actually the first time I've heard of it but I'm sure going to give this one a try. May I ask how much is this in the market and where is it available? I'm not too sure of the price but it should be available in major supermarkets! 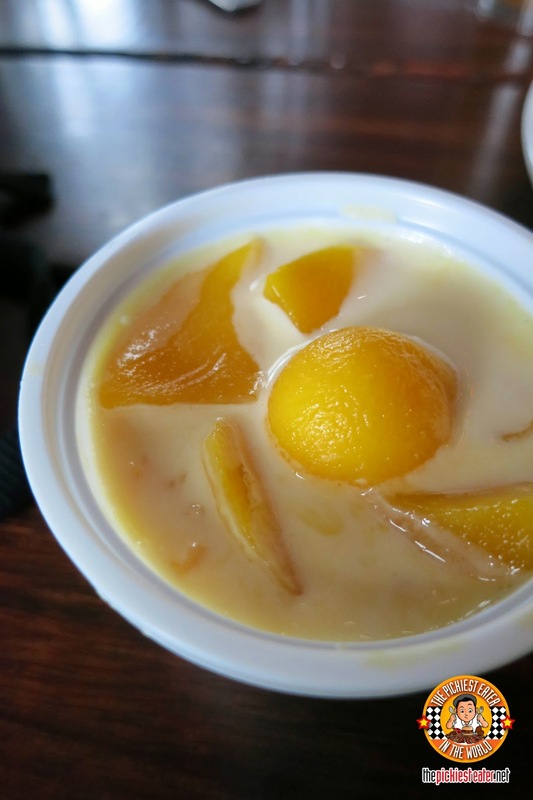 Can you cook that in a rice cooker? Am curious, does it taste like a corn muffin? or taste the same like rice? and is it gritty? I'm just curious, would you know if this product is genetically modified? Much as I would like to try it I would have second thoughts if it were a GMO food. 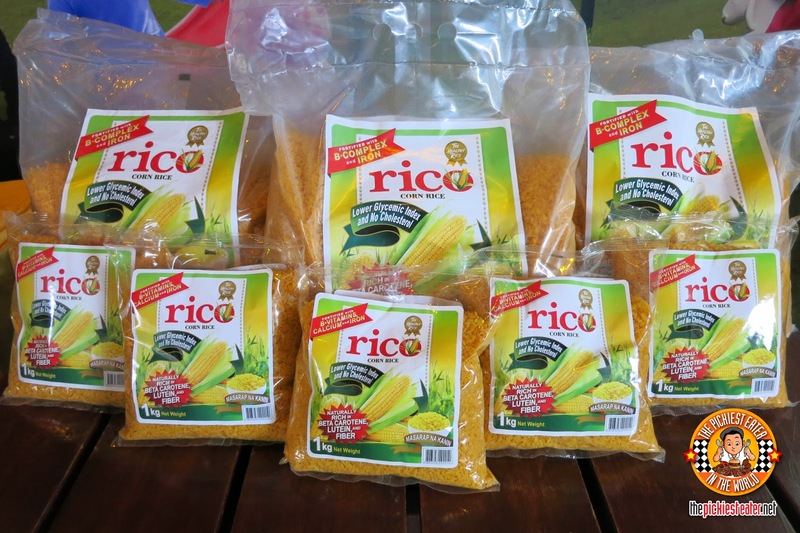 Rico rice comes from Isabela and Bukidnon where La Filipina grows GMO corn (Monsanto, Dupong Pioneer and Syngenta mainly. The rice corn that people used to eat was white/traditional varieties which have practically disappeared from Isabela and even Cagayan.